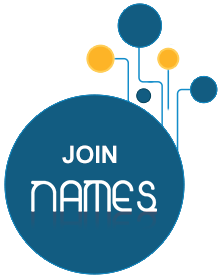 - On joining the network, members are to abide by the NAMES Internal Regulations. - To join NAMES, please fill in the Registration Form. - To join NAMES, new members have to sign the Memorandum of Understanding. Full membership is only opened to not-for-profit institutions and organizations in North Africa and the Middle East region that can be identified as science centers involved in the promotion of scientific knowledge. Centers must submit a written notification to NAMES Executive Direction, through the corresponding institutional authority, stating their interest in becoming members of NAMES and vowing to assume, support and promote its activities. Full membership is granted by consensus of at least two-thirds (2/3) of the Board to the institution or organization as a whole and not individuals. Full Members are to pay an initial amount to subscribe to the Network, in addition to a yearly membership fee. These fees are subject to change according to the needs of the Network. The change in fees is decided by a consensus of at least two-thirds (2/3) of the Board. The fees are announced at the beginning of each fiscal year. Full fees are to be paid during the first three months of the current fiscal year. If the fee is not paid during this period, the membership will be annulled. The fiscal year of the Network shall end on June 30 of each year, or any other date the Board of Directors shall select. All deposits shall be made in the name of the Network. Cheques, notes, drafts, bills of exchange, acceptances, undertakings or other instruments or orders for the payment of money shall be signed by any two of the following individuals: the President, the Secretary-Treasurer, the Executive Director. Sustaining membership is not necessarily for science centers themselves but can be granted to other institutions, associations, commercial corporations, private companies, government enterprises, as well as individuals that share and support the overall mission of the network and demonstrate a b interest in it. Sustaining membership is granted by consensus of at least two-thirds (2/3) of the Board. Honorary membership may only be by election of at least two-thirds (2/3) of the Board and must be based on particular merits in the field of science.